Mousseline Potatoes. Enjoy a lighter version of mashed potatoes by cooking with a flavorful addition of chicken broth and olive oil. Cut out much of the heaviness of the dairy, add chicken broth for this do ahead recipe. Ideal for week night suppers and equally as good for holiday entertaining. And, you can have bragging rights at the dinner table. 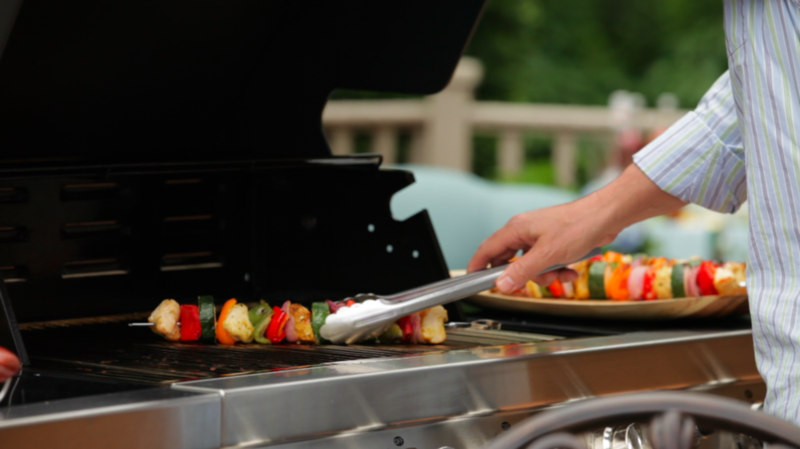 Let your guests know it is one of the most requested holiday recipes from GHL! Place potatoes in a large pot and cover with cold water. Bring to a boil, lower the heat to a simmer and cook the potatoes until very tender, about 20 to 25 minutes. Meanwhile, in a separate small pot, add garlic to chicken broth and simmer for 5 minutes to infuse garlic flavor into broth. Optional, strain off garlic. 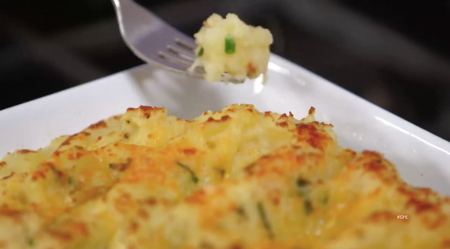 Test tenderness of potatoes by slipping the point of a small knife into potato. The potatoes are done if the knife slips out easily. Drain water when potatoes are tender. After draining, return potatoes to the hot pot, add 2 Tablespoons olive oil, ½ cup chicken broth and begin to mash potatoes by hand or with an electric mixer. Add ¼ cup cheddar cheese and Parmesan cheese. Mix in and add 2 more Tablespoons olive oil. Continue to mash until desired level of smoothness. Add remaining cheese, chives, black pepper and sea salt to taste. If preparing potatoes ahead, cool and refrigerate until ready to use. Pre heat a broiler or oven to 450 degrees F.
Grease an oven proof 9 x 9 casserole pan with olive oil. Add potatoes and spread out evenly leaving ridges on top. Top with an additional ¼ cup cheddar cheese, parmesan cheese and 2 Tablespoons olive oil. Place under broiler and heat until potatoes are bubbly and golden on top. If potatoes were made fresh and hot time will be approximately 3-5 minutes. 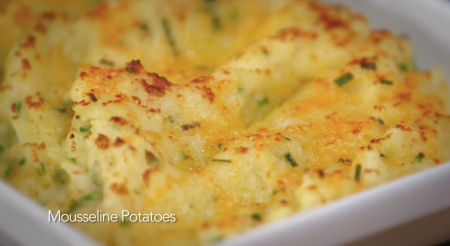 If prepared ahead and potatoes are cold, baked for 20-25 minutes or until hot and golden on top. The Addition of a good craft beer to this classic recipe adds another dimension of flavor which compliments the caramelized onion. 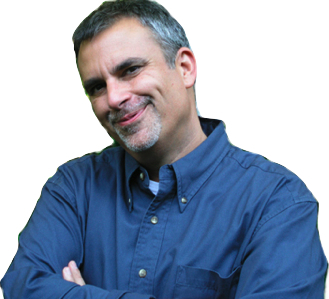 An IPA or dark beer is better but you can use your favorite brew. Add olive oil, onions and garlic. Cook onions until golden brown, stirring occasionally. Add beer and simmer for 4-5 minutes. Add broth, thyme, parsley and nutmeg. Simmer for 45 minutes. Place sourdough croutons in 4 bowls. Add soup to each bowl. Top with a sprinkling of Parmesan cheese and a slice of Gruyere. Broil for 2 minutes or until cheese melts and is slightly browned. Enjoy One Love Granola for breakfast or as an ideal dessert topping! Autumn is a time of cooler days and crisp nights. Short days with less daylight is a primer for comfort foods. 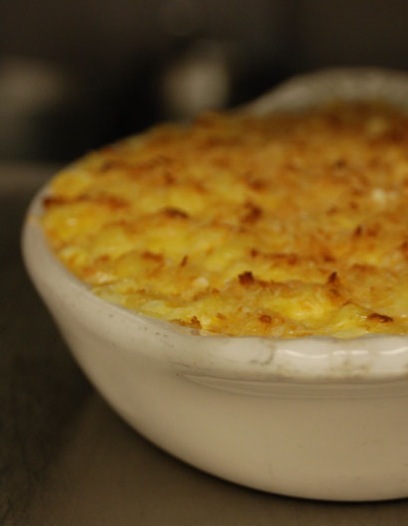 So for those of us seeking comfort, Mac & Cheese might just be the most popular comfort food on tonight's menu. Macaroni and cheese is simple to make, and the secret is to use a mixture of good cheeses. Melt Butter in a large soup pot or saucepan. Add onion, and garlic and sauté for 1 minute. Add the flour and cook for 1 to 2 minutes, stirring constantly. Slowly add the broth, and bring to a boil. Lower the heat, add the bay leaves, thyme, hot sauce, and simmer for 10 minutes. Stir in the half & half and heat to a simmer. Slowly add the Cheddar, Jack, and Parmesan cheeses, stirring until they melt and the sauce is smooth. Stir in the cooked pasta. Place in a serving dish and eat immediately or sprinkle with Mac Topping (optional), and bake five minutes in a 350 degree oven. 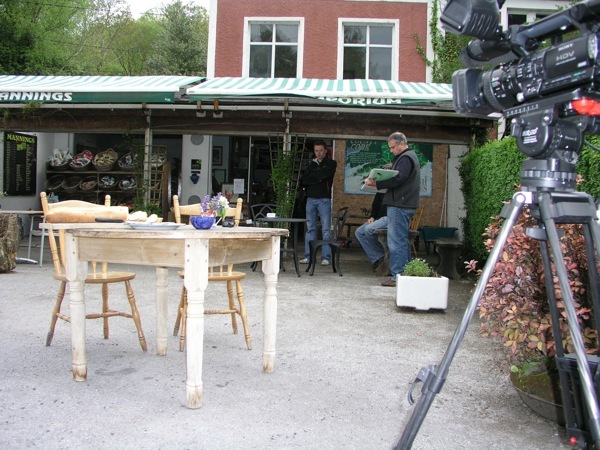 I've been taping in Ireland for my TV series. 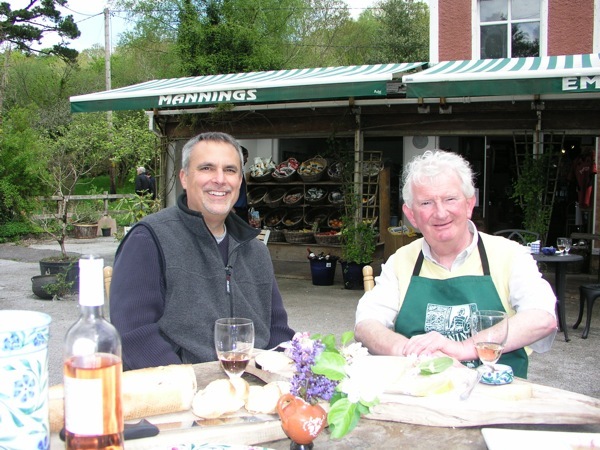 A few days ago I had the pleasure to share a glass of Rose and taste local cheeses with the honorable Val Mannings of Ballylickey at his food Emporium, Mannings located along the River Ovane. I was dropped in the heart of County Cork, Ireland and talked local food and sustainability with Val. Sustainability is nothing new to Val, after all, he's been doing it for decades, in fact for generations in the Mannings Family. Just ask anyone in Ireland and they will know of Val Manning. His cheeses, sausage and breads were out of this world; and I was lucky enough to have some time and listen to his fabulous stories. The food, wine and food conversation in Ireland is all part of the experience. I know my life has been made extra special from my visit - so thank you Val for sharing your knowledge with me so I can share it with my friends back home. 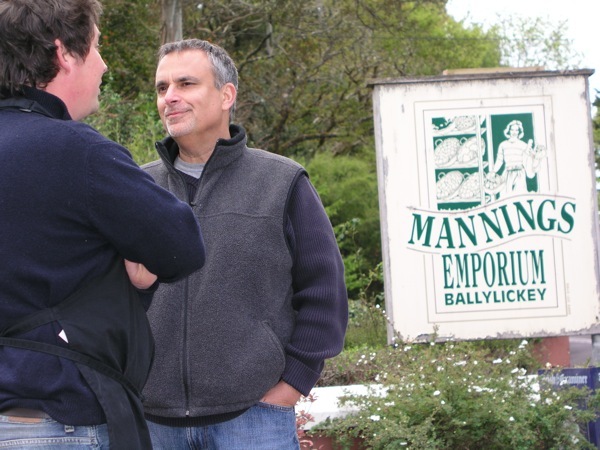 So if you venture off the beaten path, to experience original authentic artisanal foods; I recommend a drop by to Mannings while in Cork on N71. I'll be back. 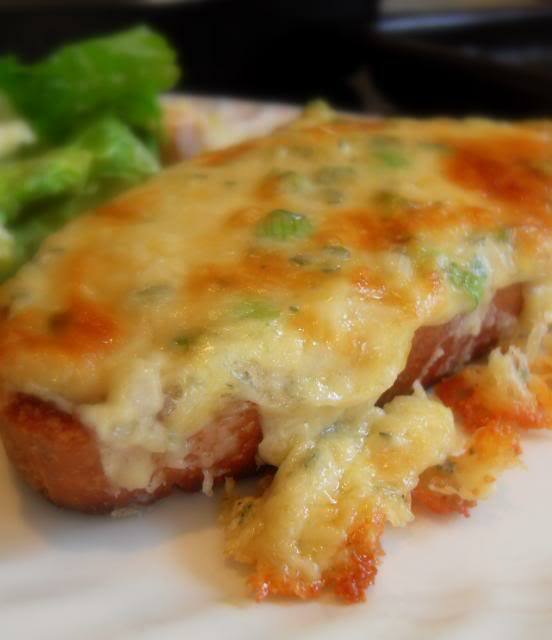 This 18th century dish from Great Britain hales from Wales and is made with melted cheddar cheese sauce over toast. Think fondue-like only more of a pub-ish lunch; ideal and comforting during cold weather. Finish the sauce off with 1 cup finely shredded cheddar cheese. Whisk in and simmer just until the cheese is melted. 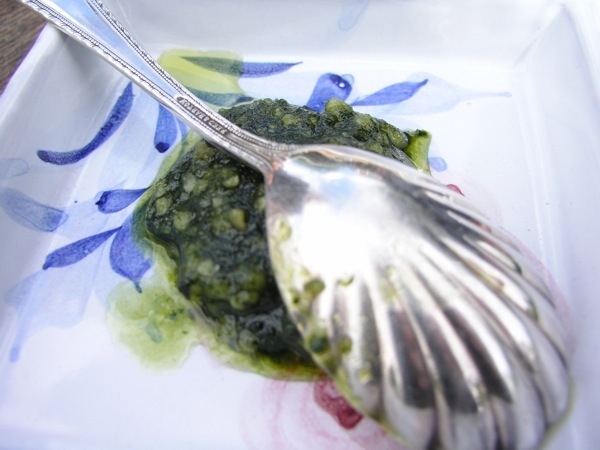 Serve a couple tablespoons of sauce over a slice of good wheat toast. Serve as is, or you may want to place the 'rarebit' under a broiler for 30 seconds to brown lightly. Top with chopped chives or green onion. I've also topped this with a slice of good ripe tomato + sweet onion. Enjoy. 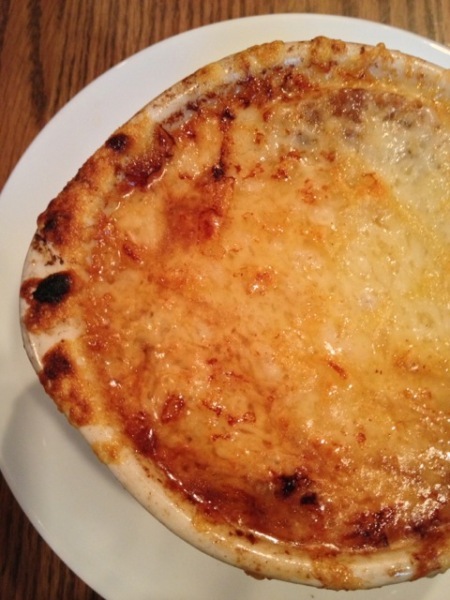 If using béchamel for rarebit, continue adding ingredients as above and simmer for 5 minutes while continuing to stir.